VOLUNTEER SIGN-UP IS NOW AVAILABLE! on Facebook to stay updated! Welcome to the volunteer sign-up page. Sign up yourself, your family and friends to help at the 2018 Winter Springs Festival of the Arts in the Winter Springs Town Center on October 21 & 22, 2018. Meet and assist artists from around the country and the world while enjoying the atmosphere of the beautiful Winter Springs Town Center. Before or after a tour of volunteer duty, you will be able to visit the artists’ booths, try festival food or stop near the stage to hear the day’s musicians. There are many ways you can help … and have fun! Artist Check-In – Check in the artists and hand out information packets. Set Up – Saturday, October 20 – hang signs at various festival booths, distribute and setup clean cardboard trash boxes with liners throughout the festival site. 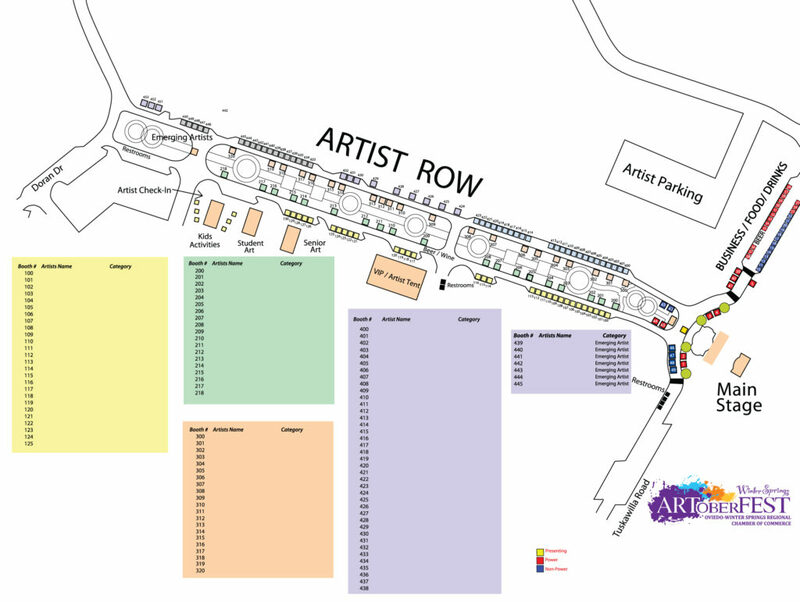 Artist Hospitality/Booth Sitting – Cover booths on Saturday & Sunday while artists take breaks and/or help out at the Hospitality tent. Artist Party – Set up, serve and clean up at the Artist Party on Saturday night. Children’s Activities – Help out with creative activities at the Children’s Tent. Festival Ambassadors– Stroll festival grounds and assist artists and patrons as needed. Alert off-duty police and festival personnel of any issues, direct visitors, and help with various tasks during the festival.